WOODY : Photo courtesy of the filmmakers. No matter what part of the world you’re in, Woody will have the ability to touch you deeply. Ingeniously told without a single word of dialogue, it is an emotive visual story about a toy –an art doll named Woody- with no fingers, or face- but a burning passion to be a world renowned piano player. It is without doubt one of the most beautiful Australian animated short films to emerge this year. Director Stuart Bowen says one of the things he has enjoyed most about making the film is collaborating with his team. His voice coming down the phone from England, which is currently freezing through its long winter, had a distinct sunny sound to it, almost childishly joyful. It was the voice of a young man who began with an exciting idea in his head, and has been rewarded for his tireless work with what is now an idiosyncratic piece of moving art. That work of art is Woody. This is Bowen’s debut film, and it seems he struck the right chord by building the story around his own experience. “People say start with what you know. I learnt piano my whole life, so I thought I could make something nifty with that,” he says. Indeed, it has now turned into something much bigger. After an intense seven weeks of working around the clock, getting no more than three to eight seconds of footage per day (comparably, feature films with enormous budgets are shot in the same length of time – Woody is a ten minute stop animation made on a shoestring budget), the film has so far been screened at six Academy Award eligible festivals worldwide, and has picked up the award for Best Animated Short Film at the Seattle International Film Festival. It stands within a hair of being crowned here at home by AACTA (the Australian Academy Cinema Television & Arts) being one of just eight pictures nominated in 2013 for an award in the short film category. Aside from that, however, the story has an ageless and timeless appeal. Dreaming of greater things is something we can all relate to. Woody turns this familiar feeling into romantic nostalgia, not least owing to a divine score written by composers Josh Abrahams and Russell Thornton. This is where Bowen really gets excited. “Once you hear the music you know it’s amazing,” he says. He describes one of his sound supervisors, Wayne Pashley, as having contributed unique “big bang sound”. So equally impassioned was composer Russell Thornton about having the perfect music, that by the end of a session with a professional string quartet, he handed Bowen a nine-minute track called ‘Lonely Airport’ – which was meant to accompany just one small scene in the ten-minute film. Exquisite cinematography is another stunning element provided by Lachlan Milne. 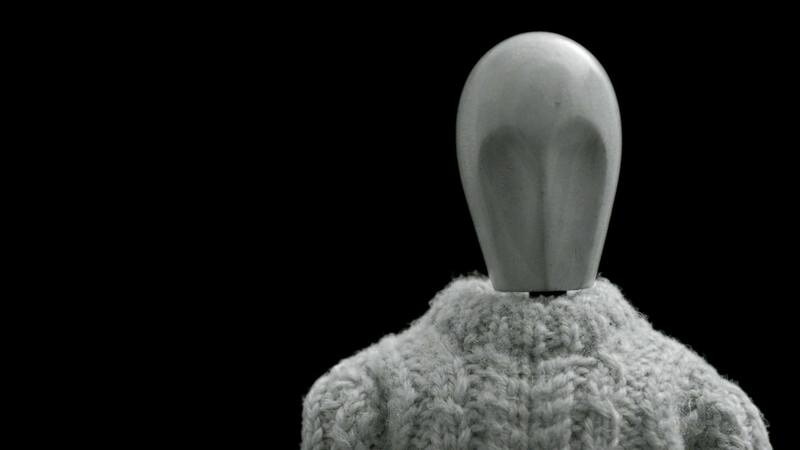 Shot in noir-esque black and white, the painstaking stop animation, at 24-frames-a-second allows incredible detail, picking up everything from the grain of wood the doll Woody is made of, to the textures of the fabric his clothes are made from. Several slow motion freeze frames allow you to savour these shards of beauty. When you watch Woody, you might be forgiven for mistaking it as a big-budget, commercially distributed animated film – but it’s far from that. It’s a work of creative love from a group of normal, down to earth people who have day jobs, but with this project chased a dream and turned it into something real and tangible. Woody the doll is a little bit like a modern day Charlie Brown; deeply and achingly lonely, quietly but visibly yearning for more. He has the potential to be as widely loved as the Peanuts character was, perhaps even bigger, because there are no words that need interpretation. Woody’s ghoulish charm is that is he is the most visceral, humanised character you will come across who has no face. Perhaps that is why the film can potentially be so well-loved; Woody is like a blueprint we can all place ourselves on and become. We understand him because we are him, perhaps in different ways, but almost certainly in some way for everyone. The international circuit Woody is now doing as the star of his self-titled film is perhaps like a real-life sequel to the film. Thousands of people across continents in both hemispheres of the earth have watched and thunderously applauded him. Hopefully, he’ll come full circle and be home shortly for us to see him again. When and if he does, Woody is surely a film not to be missed. It is possibly the most sincere feeling of fulfilment you will experience this year, in the pocket-sized length of ten minutes. Don’t miss out.